Product prices and availability are accurate as of 2019-04-11 01:14:22 EDT and are subject to change. Any price and availability information displayed on http://www.amazon.com/ at the time of purchase will apply to the purchase of this product. 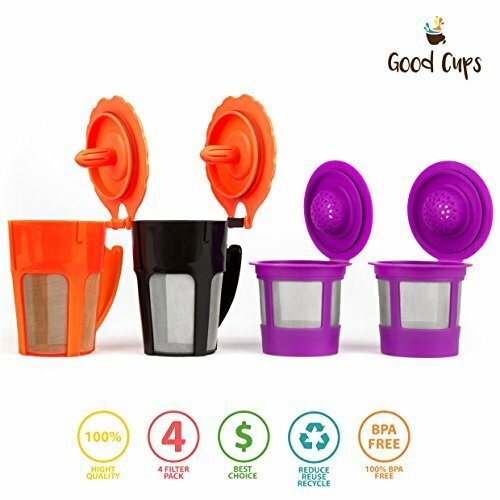 Welcome to GoodCups store! 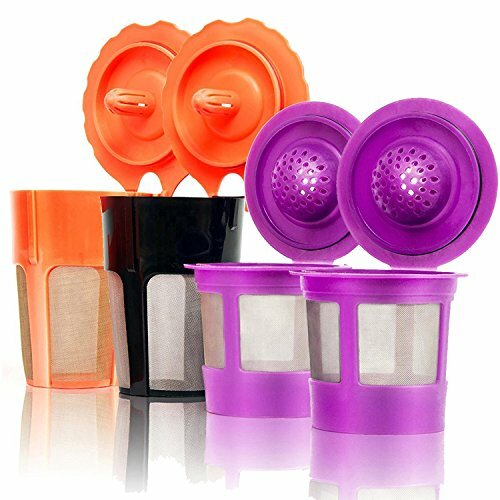 Here you can buy the Keurig Reusable K Cup and K Carafe Filters, for your Keurig Coffee Maker. This pack of high-quality 2 Reusable K Carafe and 2 Single Refillable K Cup filters have the best price and deliver splendid tasting coffee every time. 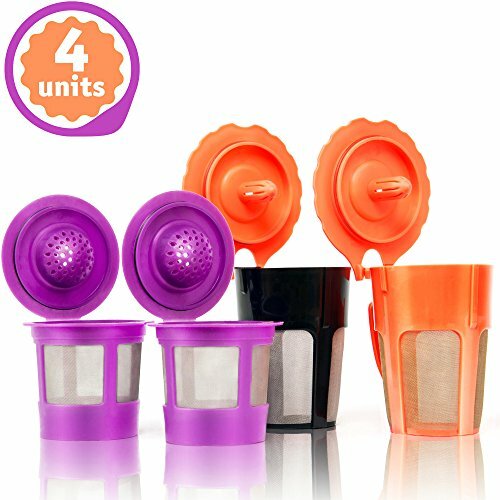 Our Premium Keurig coffee filter pods are designed so as to deliver the best flavored coffee possible. and a Micromesh Screen to keep unwanted grounds where they belong, out of your cup. 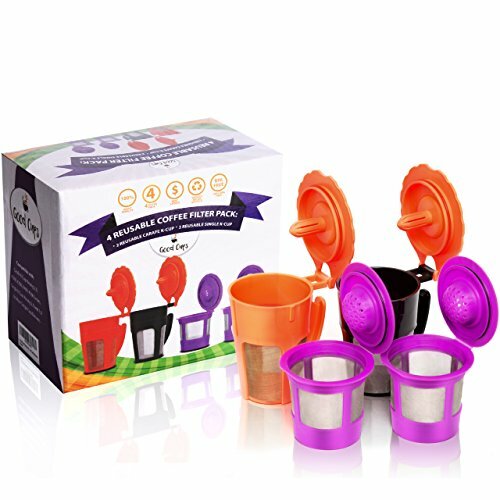 Our Premium Pack of 2 Reusable K-Carafe and 2 Single Refillable K-Cups are 100% BPA, LEAD and DEHP free! We don't mess around with your health and it's our top priority to use the best and safest materials available. 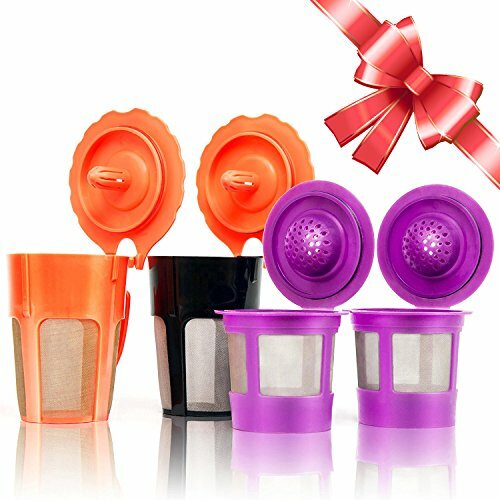 Our reusable Keurig K Carafe and K Cup filters are super easy to use and guarantee quality coffee every time. With our quality K-Carafe and K-Cup filters, you save up to 80% over prepackaged k-coffee filters. Click "Add to Cart" and Enjoy the Taste of Your Favorite Coffee! COMPATIBLE: K-Carafe with All 2.0: K200, K250, K300, K350, K360, K400, K450, K460, K500, K550, K560, K575. K-Cup: with all Keurig Family 1.0 and 2.0: B10, K10, B30, B31, B40, B44, K45, B50, B60, K65, B66, B70, K75, B77, B79, B100, B130, B135, B140, B145, K145, B100, B130, B135, B140, B145, B150, K155, B200, B1250, B1255, B3000 and K200, K250, K300, K350, K360, K400, K450, K460, K500, K550, K560 MAKE YOUR FAVORITE COFFEE: Our reusable K-Carafe and K-Cup coffee filters for your Keurig coffee maker, feature a design that guarantees to get the most out of your coffee. ECO FRIENDLY: Our high quality K-Cup coffee filters are made with the best and safest materials possible. 100% BPA, LEAD and DEHP free! MINIMUM PRICE: You won't find anywhere else our impeccable quality and low price. SAVE YOUR MONEY: With our premium K-Cup Coffee Filters you save up to 80% over prepackaged k-coffee pack and you get top quality coffee every time.